No longer in production, Valley Writers Read showcases readings by local authors, both professionals and amateurs. Longtime Valley educator and author host Franz Weinschenk hosted the show, which is still available through our web archive. 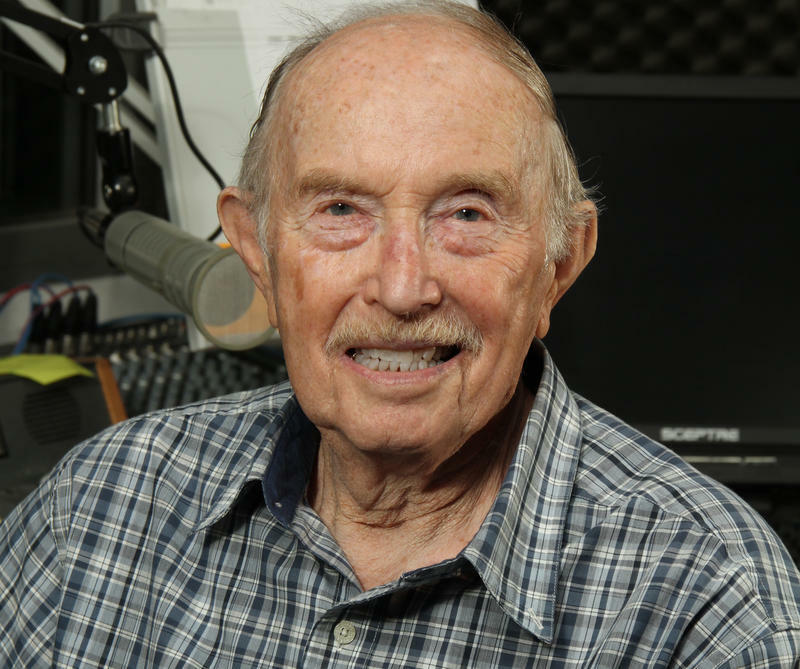 Longtime Valley Public Radio host Franz Weinschenk died last week at age 92. From 1992 through 2016 he hosted the popular program Valley Writers Read on Valley Public Radio. The program featured short stories from local writers, both professionals and amateurs, and showcased the valley’s rich literary traditions. 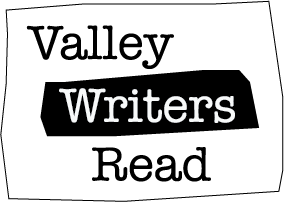 This week on Valley Writers Read we hear a program from our archives featuring local author Jim Ashford reading his story "Ridge Runner." The 2016 season of Valley Writers Read features highlights from past broadcast years. Enjoy local authors reading original works of fiction and non-fiction every Wednesday night at 7:00 p.m.
January 6, 2016 James Benelli “Carrier Approach” The story is about Lieutenant Amy Adams, just about ready to complete her final aviator exam by landing her plane on the aircraft carrier USS Ronald Reagan. A mid-air collision complicates matters. This week on Valley Writers Read we hear a story about how, during the Vietnam War, a Hmong family was lucky enough to get out of their homeland. The story describes how, for years, this Hmong family fled from soldiers, hid in jungles, crossed the Mekong River to Thailand, and finally emigrated to America. The story is by Joel Pickford and is read by Lor Lee. This week on Valley Writers Read, we hear a story by local author Hope Nisly titled "Seasons of Doubt." The story is mainly about personal behavior and philosophies. Here is a young, very traditional Mennonite girl enrolled in grammar school who meets Summer, another girl with many surprising and often contrary views. The story tells us what happens when Summer writes an essay entitled “Why I Am An Atheist”? This week on Valley Writers Read we hear two stories: “Paper or Plastic” by James Benelli and “Night Sweats” by Ed Miller. Both stories are read by their authors. The first story is a light hearted tale about a bag boy in a grocery store who was just about seduced by a very wealthy customer. The second story is about a veteran with post traumatic stress disorder. Editor's note: this program contains adult themes and may not be appropriate for all listeners. This week on Valley Writers Read, we hear a story titled "My Life As A Mystic" by David Borofka. Even though the main character is an appraiser (which is anything but being “other worldly”) he sees himself as a “mystic.” Nothing demonstrates this more clearly than what happens toward the end of the story. Listen and find out what happens on this week's program. This week on Valley Writers Read, we hear a story by local author Janice Stevens. "Central Valley Honor Flight" is an account of a trip Stevens took in April of 2014 to accompany local World War Two veterans to our nation's capital. As a representative of a local magazine, Janice Stevens accompanied these veterans as they visited many of the memorials dedicated to them. This week on Valley Writers Read, we hear a story by local author Craig Bernthal titled "Route 18." Through no fault of her own, Linda, a troubled teenager, is thrown into the middle of a really difficult divorce. By law, she's required to reside with each of her separated parents for two weeks at a time. She desperately tries to escape her agonizing confinement by traveling down an imaginary highway – the one she calls "Route 18." This week on Valley Writers Read, we hear "The Automobile Ride," a short story by author Angelo Angarano. Shortly after this program was produced, Angelo passed away at the age of 95. We dedicate this program in his memory. While his cousin Gino butchers some songs on the accordion, Angelo celebrates his ninth birthday. And just a couple of weeks later Angelo's father buys the family's first car, a 1929 Model A Ford sedan with all of 9,500 miles on it. This week on Valley Writers Read we hear a story by local author and farmer David Mas Masumoto titled "Scent Of A Father." This week on Valley Writers Read, we hear a story by local author Robert Walton, titled "Lulu Garlic, Contraband." This week on Valley Writers Read, we hear two stories by local author Howard Hendrix, "Son of the Sun" and "The Self-Healing Sky." This week on Valley Writers Read we hear a story by local author Mary Benton titled "The Grape Fields." The story is read by Leigh Murray. This week on Valley Public Radio's Valley Writers Read, we hear a story by local author Oscar G. Williams titled “Bucket List." Read by Don Weaver, the story is about a list of four activities the children and grandchildren of two well-to-do 65 year old twins come up with for their grandparents to enjoy in their old age – golfing, skiing, motorcycling, and jumping out of airplanes at 10,000 feet. A persecuted German family that was lucky enough to get out of Nazi Germany before WWII started life over again in Brooklyn, New York. The story describes how they dealt with their new neighborhood, living conditions, work, schools, illness, and America's deep depression. This week on Valley Writers Read, we hear a story by local author Janet Nichols Lynch titled "Free Will." Maureen is the lead character. She's been divorced from Jack, while Patrick, the father of six-month old Audrey, is the other man. But now some serious problems have come up and Maureen is thinking about starting life all over. This week on Valley Writers Read we hear a story by local author James Varner, "Memories of Growing Up with Friends." The story is all about the life-long friends the author made in the Bakersfield neighborhood where he grew up. He tells us about the schools he went to and the profession he chose, and an event that brought back many memories, years later. This week on Valley Writers Read we hear a story by local author Thomas Nance, "Dad's Address Book." The story is set in the last part of World War II in the Pacific. The author re-constructs many of the stories about the infantry battles that we won in the South Pacific – island by island – from letters his father wrote while serving under General Douglas McArthur.